Rembrandt and Van Gogh in 1930, and travelled to Belgium to study the work of the Dutch masters in 1931. 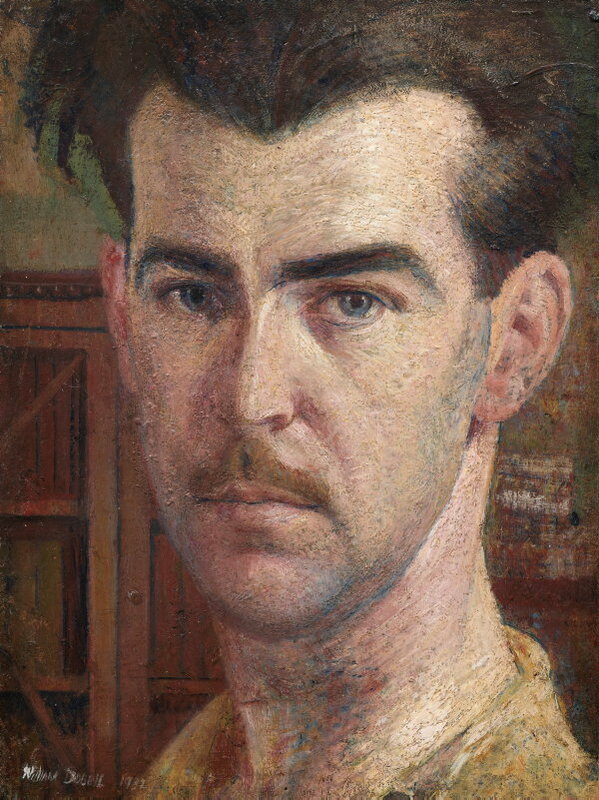 'Self portrait' represents a daring act of self-exposure. 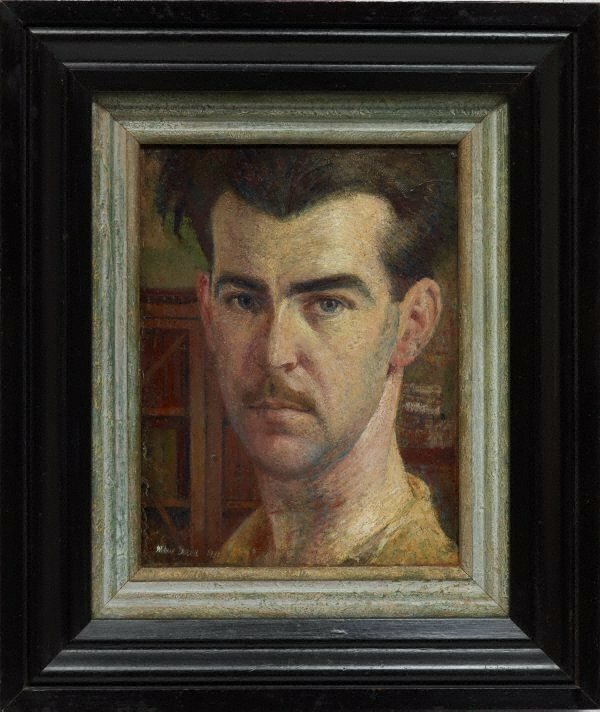 Its significance lies in Dobell’s successful attempt to define the self without glamour, bravado or artifice. Though small in size, this portrait has an intensity of presence. It was produced during a period when the impoverished artist often painted on small scraps of panel or strawboard. Signed and dated l.l. corner, white oil "WILLIAM DOBELL 1932".